We had a wonderful, interesting and insightful tour of Rio de Janiero. It was relaxed and thoroughly enjoyable. Diana is a lovely person and nothing was too much trouble. Great experience and I would definitely book again. TOUR GUIDE RESPONSE: Thank you ! It was a pleasure to show you my beautiful city ! TOUR GUIDE RESPONSE: Thank you George and Darlene for your 5 star rating. It was nice to spending the time with you . I hope to see you again in Rio . A great tour by a knowledgeable guide. We found Diana at the last minute and she went out of her way to show us a great time. She arranged a wonderful tour during Carnival with all the chaos and partying in the streets. She also helped us find our Sambadromo tix and showed us how to get there. She gave instructions on how to enjoy our visit after the tour. She even returned to our Ship to return a painting we left in her car. Diana is the Best! Diana is the most amazing guide. She picked us up dead on time from the hotel and fulfilled all my wishes. She went over and above the call of duty. A delightful, charming, informative and humourous lady. We had a fabulous afternoon soaking up the beaches and sights. Thank you Diana for a wonderful afternoon. TOUR GUIDE RESPONSE: Shelley thank you very much for your kind words , I really enjoyed meeting both of you and showing you around Rio , come back soon ! We highly recommend Diana P as a very reliable, flexible, & delightful guide in Rio. Four of us hired her for 3 days--half day, all day tour, & airport transfer for us combined with all day tour for the other couple. She advance purchased tickets for us for Sugar Loaf & Redeemer so that we would not have to stand in line. She knows how to negotiate the system so that her guests don't have to wait. Her English is understandable. She answered questions & gave basic commentary about the major sites. TOUR GUIDE RESPONSE: Thank you so much for your kind words Betty , It was nice to spend the day with you and your friends , I look forward to seeing you again in Rio ! Great advance communication - especially since We were in the process of changing our flights and it took me a few days to get her our accurate info. she was reliably at the airport and as promised her vehicle was big enough to accommodate an American family of four with plenty of luggage:). Diana was flexible, reliable and accommodating (we changed plans and decided to check into our hotel before touring), all appreciated. Great English. Thank you Diana! I had a short stopover in rio and wanted to see some of the city safely. This tour was really ideal. Collected and dropped off at the airport. Would recommend. TOUR GUIDE RESPONSE: Welcome, Tracy ! It was a lot of fun to spend the day with you, I wish you all the best , Diana P.
Could not have been better. Really enjoyed this tour and the guide. Took us to her special places and we got to see and hear sights from her perspective. We enjoyed a lovely day with Diana P on a trip from Rio up to Petropolis. Thanks for the safe driving, Diana! A great tour with Diana! She was flexible in providing sites that were on our list along with places we would never have known about. She was helpful, on time, and made an enjoyable day for us! She's a great tour guide! TOUR GUIDE RESPONSE: Thank you for your kind words. It was a pleasure spending time with you and your friend. I hope to see you again in the city. We had a great day and we lucky to see the main attractions all in one day! Diana has a great knowledge of the city including driving through town. Diana shaped the tour to meet our needs and we really enjoyed it. Our two small children had a ball and Diana was very mindful to cater for the kids. TOUR GUIDE RESPONSE: You are an amazing family , I am glad you liked the places we've been and your children are adorable , I will miss you all , come back soon ! Diane is engaging and communicates very well. She was flexible, helped us get through the wait lines quicker, she is prudent and knows which sections to avoid. Her tour is informative, interactive and we really liked that restaurant she took us to on a little island. I will recommend Diane to all my friends who visit Rio. Thanks Diana for a great tour -- sorry it took us so long to submit our rating. TOUR GUIDE RESPONSE: Thank you so much Craig , the important is that you enjoyed our tour ! wish you a happy holidays , Diana P.
Diana was very welcoming and friendly and took us to places we wanted. Fantastic restaurant in the end! It was really nice for us and our children. Diana was what everyone could ask for from a tour guide, super professional, knowledgable, clear, and extremely friendly. She always arrived on time to pick us up, and made us feel like we were friends not just her clients. We enjoyed every minute with her and would highly recommend her to anyone interested in visiting rio. An absolutely amazing woman, very caring and patient, could not have asked for anyone better. Thank you so much Diana!!!! We will miss you. Good to know we now have a friend in Rio. TOUR GUIDE RESPONSE: I already miss this family !Thank you for your nice words and I'm really happy that you liked the visit . To be with you all of these days was wonderful ! I hope you return to Rio in a near future , love you all! your new friend , Diana . Once again Diana was absolutely fantastic as a tour guide. Arrived on time to pick us up, explained everything clear, and was very patient with any question we may of had. she really made our experience in Rio great, and it was worth every penny. She is highly recommended, and the perfect woman for the job. Could not have asked for a better tour guide, we became very close and became very good friends. Really a very kind woman who does her job from the bottom of her heart. Thank you Diana!!! TOUR GUIDE RESPONSE: Thank you , nice family! you guys were a gift to me, with all the patience to go to the attractions with all this heat in Rio , I could see always a big smile on your face, more than a guide you now have a Brazilian friend ! Will be always here with open arms to receive you whenever you visit Rio again. A big hug to you all ! Oh we all fell in love with Diana from my young kids to my parents. She took such good care of us and accommodating our ever-changing requests. My father left his credit card back at the restaurant and she so graciously returned back through the traffic and heat. She speaks English very well and was very knowledgable of the city. Thank you so much diana!!!!! TOUR GUIDE RESPONSE: Hi Niosha , you have a wonderful family and your kids are adorable , it was a pleasure to show you the city , thank you for your beautiful words. Merry Christmas and a Happy New Year! Diana is excellent to work with, and a very knowledgeable guide. She customized our tour for us (to see the upcoming Olympic sites) and made our 2 days of tours a wonderful, new Rio experience for us rather than a repeat of a standard tour. We would feel fortunate to have Diana as our tour guide on any return trips to Brazil. Diana is fantastic..we saw more than we expected.She is legend! I have no hesitation in recommending Diana. I thought that Diana did a great job and would highly recommend. A wonderful tour to some of the less touristy spots. Thanks Diana! TOUR GUIDE RESPONSE: Jane , thank you for your generous comment about our tour I'm glad you enjoyed the hidden gems of Rio and hope to see you again . Diana was a joy to tour with. She knows Rio! Our tours were timed with expertise to avoid long lines and thus we had more time to spend and enjoy many of the highly visited attractions. Diana was our guide for three days. We also got to see beautiful places that only a local would know. If you are planning a visit and are looking for a great guide with knowledge and historical perspective then look no further. We would highly recommend Diana, she made our visit to Rio unforgettable. TOUR GUIDE RESPONSE: Hi Emilie & husband and friends , It was not only you but it was my joy to be with you all these days showing the best that the city can offer to travellers visiting Rio you were lovable and very cheerful throughout the tour thank you for your nice words , Warm regards , Diana P.
This was day 1 of a 2 day tour. Made it nice to get to Christ the Redeemer and Sugar Loaf during less busy times. Diana was extremely knowledgeable and had great English skills. Rio is a large city and Diana knew how to get around. She also picked a great lunch Churrasco. Wonderful location, great Caipirinha made at the table and wonderful servers. Diana hit all the locations we wanted. Diana took into account our group's walking restrictions, parked close and min waiting. Can't wait ti get back. TOUR GUIDE RESPONSE: I´m glad you and your family enjoyed all the attractions that we visited also enjoyed our typical drink the CAIPIRINHA . My goal it´s to show all the best places we have in the city to visit , Í m grateful that you enjoyed all Diana P.
This was day 2 of a 2 day tour. Made it nice to get to Christ the Redeemer and Sugar Loaf during less busy times. Diana was extremely knowledgeable and had great English skills. This day was spent at Sugar Loaf and crossing over to Niteroi, which was not only a nice drive but afforded a different view of life in and around Rio, very nice. Diana hit all the locations we wanted, plus some. Diana took into account our group's walking restrictions, parked close and min waiting. Can't wait to get back. TOUR GUIDE RESPONSE: Hello family , was an honor to show you my city and take you to the most distant areas of Rio that are also interesting to visit I hope that you and your family return to Rio in a near future . Thank you for your nice review , Diana P.
Diana is a 5 out of 5. She is very friendly, helpful, and knowledgeable. We had an 8 hour full day tour in Rio de Janeiro and she made the 8 hours go by very fast by her pleasant, interactive, and humorous attitude. I highly recommend her and would use her again. TOUR GUIDE RESPONSE: Toky & husband and friends, you are so special I will always be here to receive you and your friends in our city you have not only a tour guide in Rio but a friend waiting for your next visit to our wonderful city of Rio de Janeiro, Tender hugs to all of you . Diana P.
Diana was a wonderful guide accommodating the day to our time schedule. She knew all the shortcuts for the tourist lines and took us to a fabulous local restaurant for lunch. We would use her again and again. Thank you, Diana. TOUR GUIDE RESPONSE: Kathy thank you for the nice words our day was fantastic and it was very nice to visit the sites of Rio with a such lovely couple I´m waiting for your visit in Rio again soon . Warm regards Diana P.
Diana was terrific. Knowledgeable, flexible, and fun. She gave us a great overview of Rio, including the beaches, the spectacular statue of Christ the Redeemer, the downtown area, and all the World Cup venues. We thoroughly enjoyed our day with her. Highly recommended! 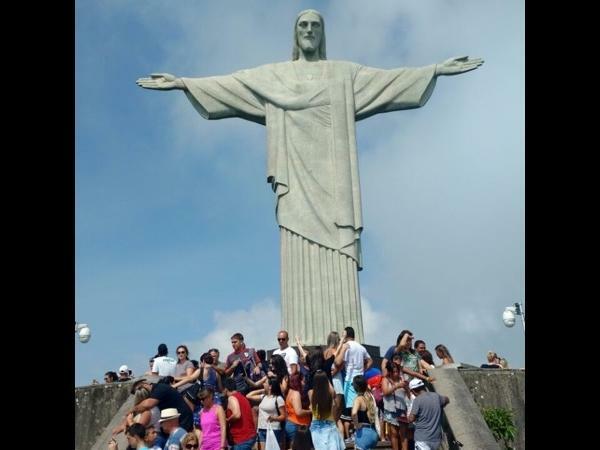 TOUR GUIDE RESPONSE: David you describe your visit in Rio with such enthusiasm that gives to me the happiness to know that my work is recognized thank you for your review I'll be always here with open arms to receive you all . All the best , Diana P.
Diana was lovely and provided so much information and history of Rio and the attractions visited. Even though we went on a miserable rainy day we still had a lot of fun. I highly recommend Diana to anyone wishing to tour Rio. 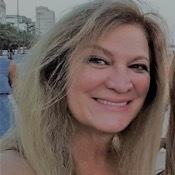 TOUR GUIDE RESPONSE: Erin thank you so much for your nice words whenever you need again a tour guide in Rio I will be always here to give you the best tour of our city , Warm regards , Diana P.
We had a short time in Rio, and our guide Diana made the most of it. We were picked up at the airport, saw great architecture, several beaches, did a bit of local shopping, went up into Christ the Redeemer, and had a great lunch (including meeting the owner) at a traditional Brazilian restaurant. Things could not have worked out any better. I highly recommend Diana. TOUR GUIDE RESPONSE: Hi Peter and family , Even if you had a short visit in Rio I tried to do my best to go to all the signs and areas of interests I'm glad you liked the barbecue steak house there you had the best quality of meat in Brazil and I'm glad for your nice words thank you and come back soon , Diana P.
Diana was very knowledgeable and spoke excellent English. The tour was rather hampered by the terrible traffic that made making progress very slow so limited the time to get out and view sights; of course, this was not her fault. TOUR GUIDE RESPONSE: Ian , our city it's very big and depends on the business day sometimes we can experience traffic that I always try to avoid , thank for your nice review you're always welcome to our beautiful city ! Warm Regards , Diana P.
TOUR GUIDE RESPONSE: Hi Suzanne , yes we definately had a great time together in Rio I'll be always here waiting for you , thank you for your nice review ! All the best , Diana P.
Diana was one of the best guides I have ever had. She made our visit to Rio an amazing experience and helped us with every need. You can not visit Rio without her!! Highly recommend. TOUR GUIDE RESPONSE: Hi Jay , I'm glad you like it and thanks for your recommendation it's very rewarding for us tour guides when our customers become our friends and more important when you enjoy the tour , Thank you ! Diana P.
Diana was the best choice we could have made. She communicated clearly setting up our tour, she was on time, her car is very comfortable ,she provided interesting historical information & varied activities. Every aspect of our tour was excellent as she took care of all details. Although our time in Rio was a short, we felt we saw everything. She is a lot of fun, high energy and spirited. We would book w/her again and recommend her highly to anyone wanting to see Rio. It was worth every penny. TOUR GUIDE RESPONSE: Elizabeth , thank you so much for your nice testimony travellers like. you make our work very pleasant It was a pleasure having you on my tours , A big hug to you all , Diana P.